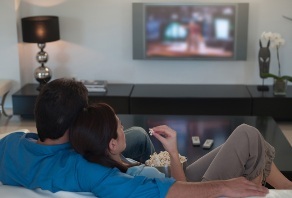 One of the best ways for busy couples to enjoy a nice intimate moment together is by watching a great romantic movie. In these Top Ten Date Night Movies, I will suggest some films that cover a wide range of romantic stories. These movies are sure to make your next date night movie watching experience spectacular and memorable. This is a film I am sure you have heard of once or twice. It is directed by Stanley Kubrick and stars Tom Cruise and Nicole Kidman. A visually stunning and thought-provoking film, Eyes Wide Shut feels considerably shorter than its nearly three hour run time. The lighting and pacing of the film make it the perfect choice for rainy day or late-night viewing. From Here to Eternity is a love story takes place on an Army installation in Hawaii shortly before Pearl Harbor. It is based on a well-regarded novel by James Jones. This multi layered story is both a great tale of forbidden romance and the changing nature of American culture. Burt Lancaster and Deborah Kerr bring this story to life with a spectacular sobriety and gravitas rarely seen in contemporary films. 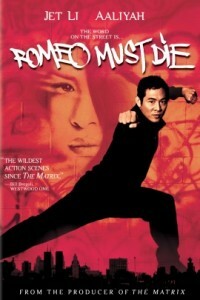 Romeo must die is an action-packed adaptation of Shakespeare’s timeless love story with martial artist/actor Jet Li and singer Aaliyah as the titular characters. While the film is certainly a bit of a stereotypical action film, it still has a great deal of heart and stays true to the themes of the original. 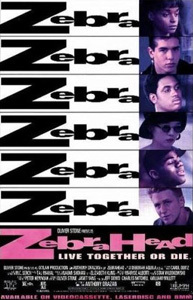 Oliver Stone’s Zebrahead is a fearless exploration of the struggles faced by interracial couples and love’s power to triumph over adversity and tragedy. This film is at once accessible and provocative, owing not only to the fabulous writing, but great performances on the part of N’Bushe Wright and Michael Rappaport. Love Actually is a rare thing: an ambitious film that lives up to its potential. Its seeks to interweave stories exemplifying the variety, beauty, and complexities of love and relationship dynamics, and it does a darn good job of it. If you are looking for movie that is both heartwarming and funny, then look no further! 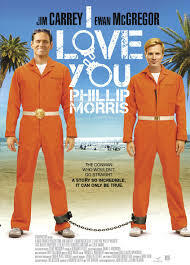 Jim Carrey and Ewan McGregor star as couple who are perpetually separated due to one’s compulsion to commit crimes to provide a lavish lifestyle for the both of them. 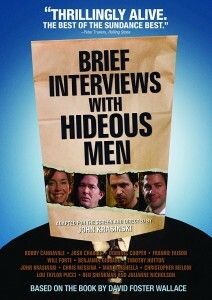 The film also tells the story of one of the world’s most successful and innovative con-men. Starring Nicolas Cage and Laura Dern, this David Lynch directed masterpiece of avant garde cinema is also a meditation on the nature of love and distance. It is great for a night when you’re both really craving something different. This is a feel-good comedy with an all-star cast including Jason Biggs, Steve Zahn, Jack Black, Amanda Peet, and R. Lee Ermey. Its short, sweet, hilarious and to the point. Watch this one for night of uncomplicated hilarity and warm feels! This film, based on the popular novel by the late David Foster Wallace, is a not the most traditional romantic film. In fact, unlike the other films on this list it focuses not so much on a budding romance, but the aftermath of a failed one. That being said, it makes some very compelling points about how the non-romantic parts of ourselves affect our love lives. I recommend this one for a night when the thought of yet another saccharine sweet romance film is off the table. Last, but certainly not least, is True Romance. It is a punk rock love story with laughs, action, and lots of love. 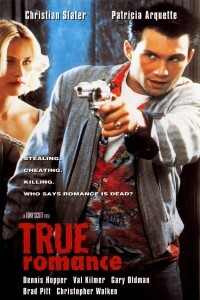 Christian Slater and Patricia Arquette head up this exciting and unpredictable story of crime and romance. This one really captures the excitement of young love in a unique. Not every date night is the same. That’s why I’ve made this Top Ten Date Nights as eclectic as possible. I mean, lets be honest, we all know that safe bets like Mama Mia and My Big Fat Greek Wedding are out there, but sometimes a more nuanced look at love, romance, and relationships can make for a refreshing viewing experience. One you’ll want to share with that special someone.